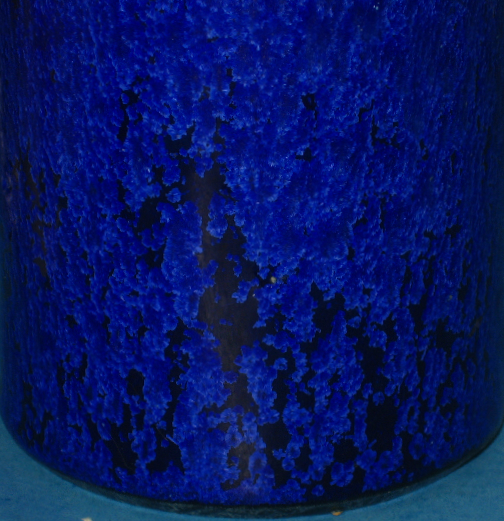 Unterstab: Form and glaze are both wonderful on this Ralf Unterstab vase. 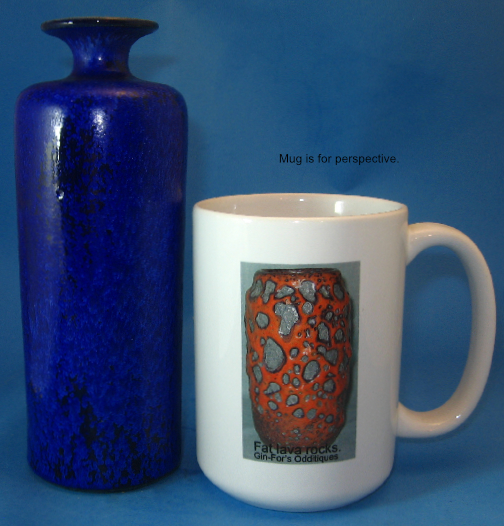 The shade of blue is striking on its own, even more when the crystalline quality shows. 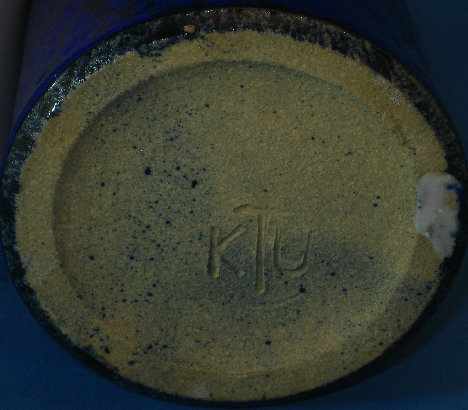 The vase has the KTU mark, which stands for Kunsttüpferei Unterstab, which translates to simply Unterstab Art Pottery. The mark was once improperly attributed to Kerstin Unterstab.....who doesn't actually exist. Just how such an attribution came about is a mystery of its own. Size: Height is about 7 1/4" and diameter about 2 5/8".